To communicate the hotel’s ongoing events programme and facilities efficiently and economically but with the hotel’s customary spin on the expected. 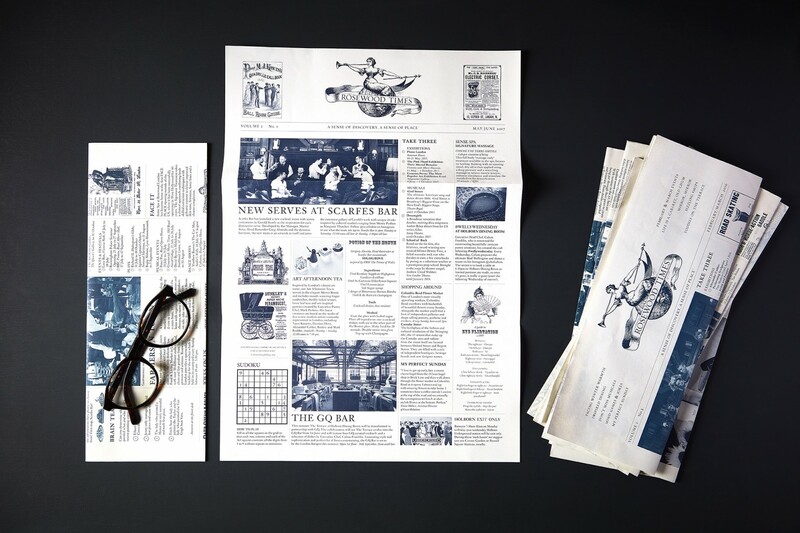 Rosewood London’s quirky Edwardian country house style lead us to develop a traditional newspaper, with an ironic take on period advertisements, jokes, puzzles and anecdotes that could be put into each room. While many were folded into traditional newspaper format, other newspapers were folded into the shapes of birds. Now in its second year the newspaper continues to amuse and inform thousands of guests.